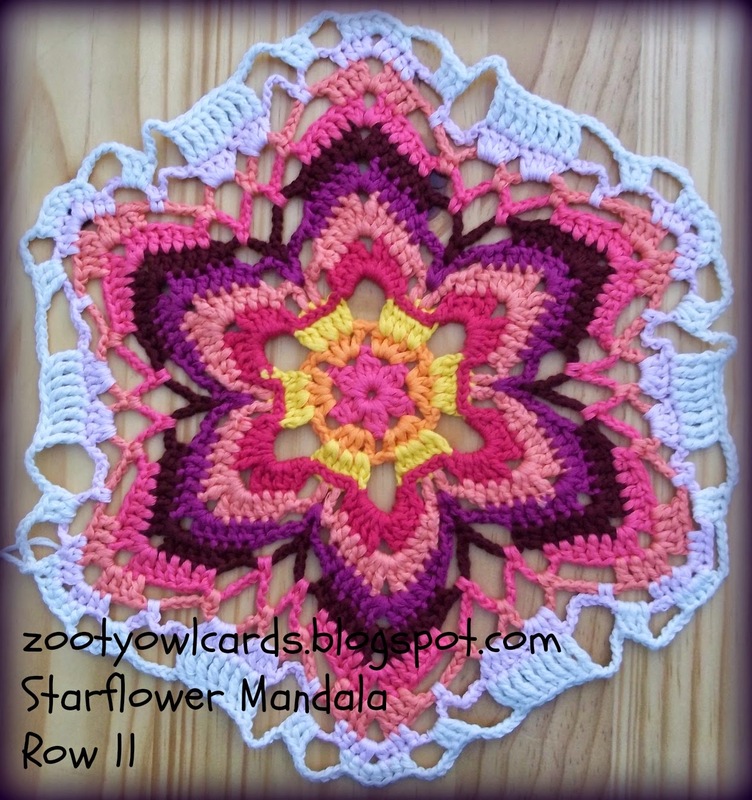 The original plan was to provide photos of each row - but there was such a high demand for the pattern (long weekend = lots of crochet time) - so I decided to go ahead and publish with just the few photos of the first four rows! YAY! 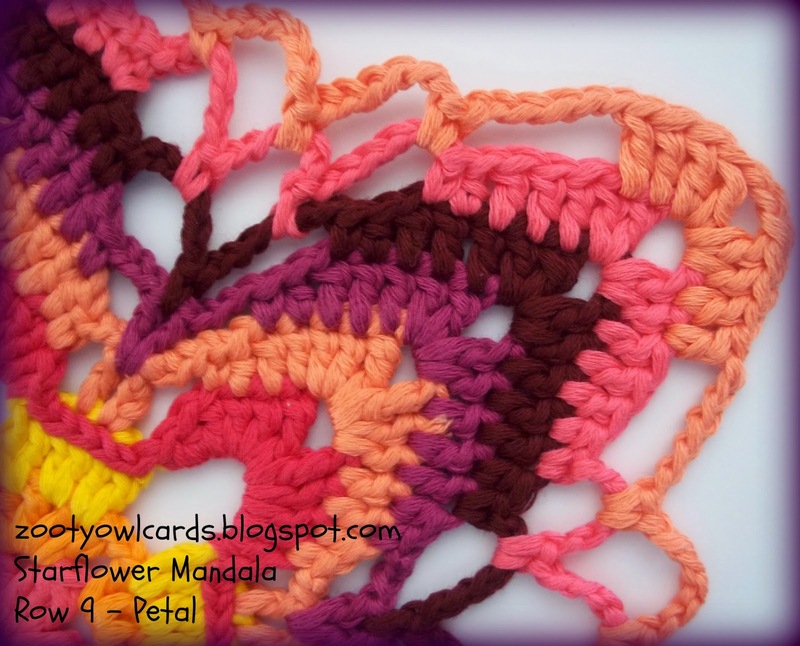 So exciting to see all the colourful versions of my pattern showing up everywhere! 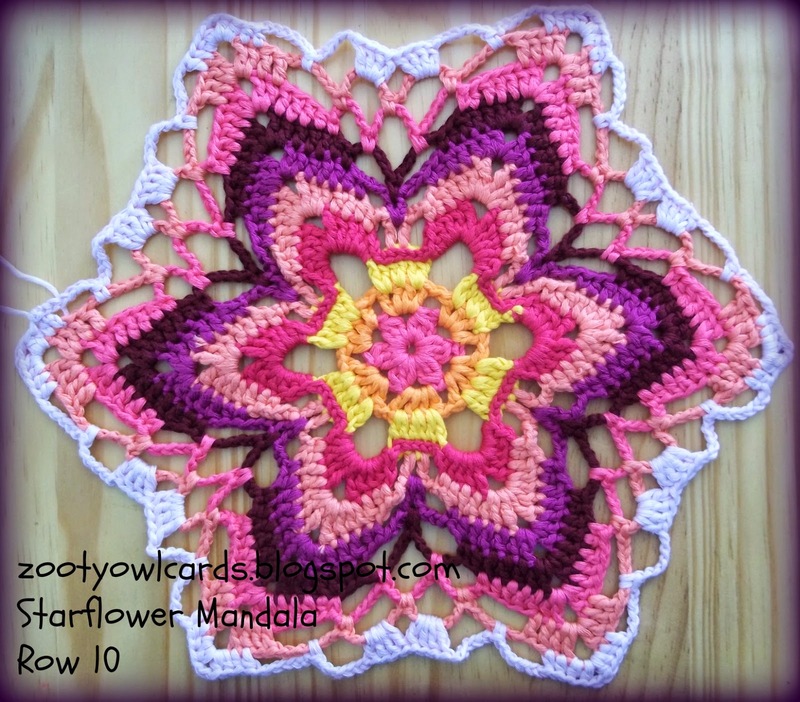 I thought I would do a row by row breakdown of the pattern anyway - "pattern-speak" can make the mind boggle a bit and a picture always makes it a bit easier to fathom! 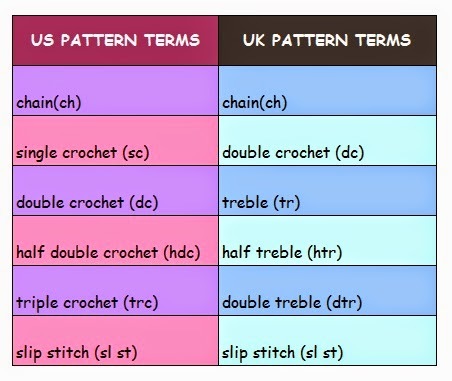 My patterns are all written in US TERMS, which could prove a bit confusing if you are used to UK Terms! I made this little conversion chart, which I will include in all my patterns from now on, for ease of reference. 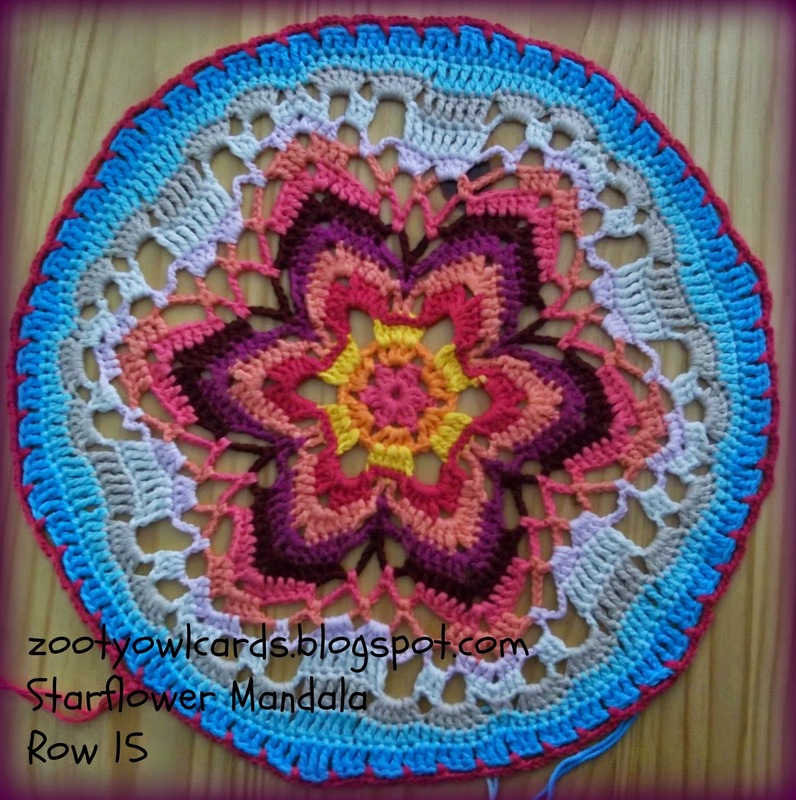 My original STARFLOWER MANDALAS were crocheted with Stylecraft Special DK and a 3.50mm hook, giving a finished Mandala of 33 cm in diameter. 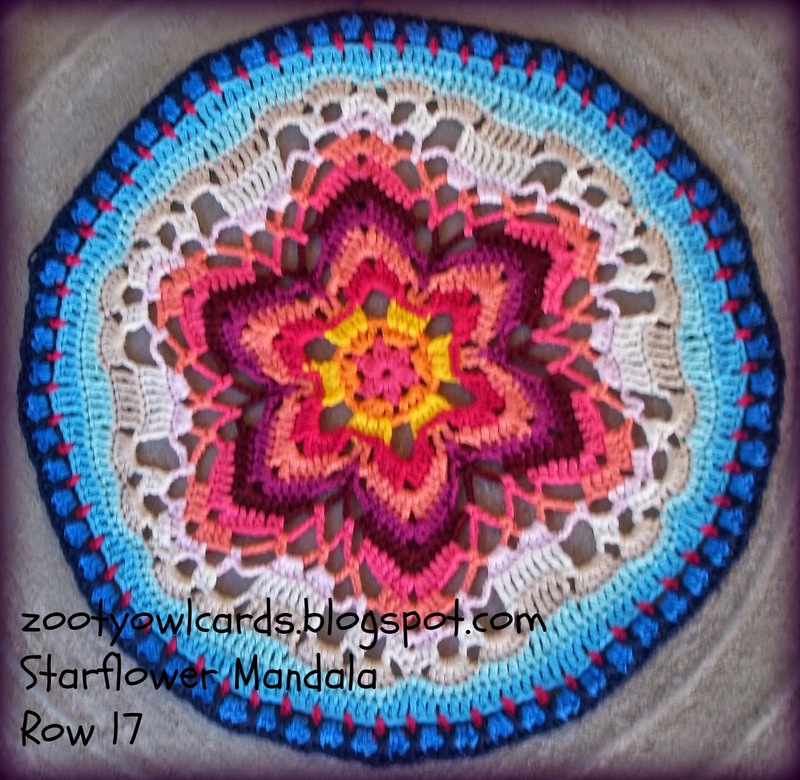 The Starflower Mandala in this post was made with Raeesah Cotton Soft DK and a 4.00mm hook, giving me a finished Mandala of 45cm in diameter. Yarn weights are referred to quite differently in various regions, so I thought I would also include this rather useful RAVELRY LINK for Standard Yarn Weights. The photos were taken at various times over the course of a few days - so there is a bit of variation in the colouring. 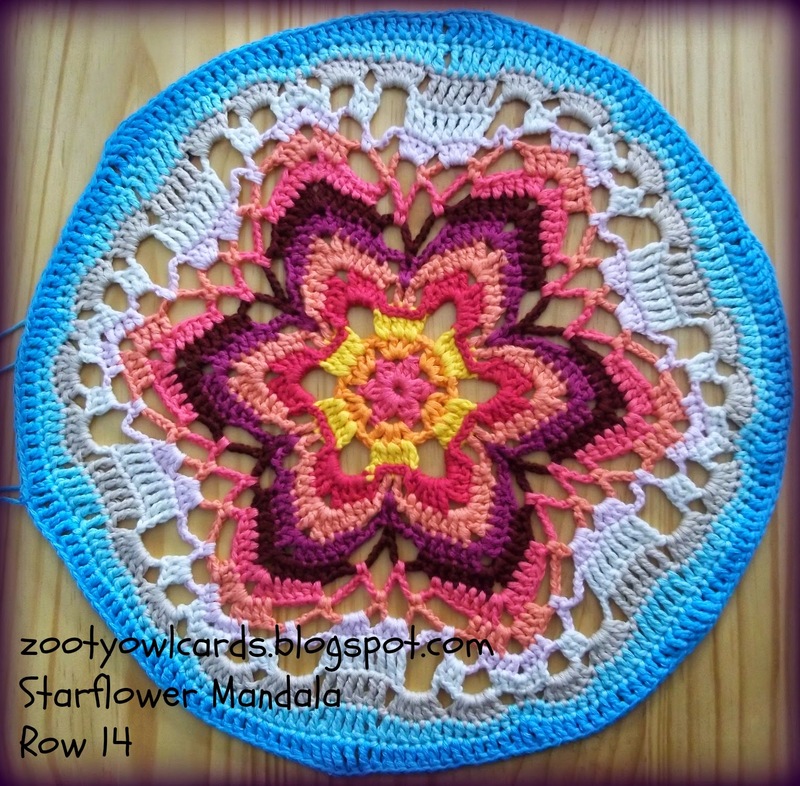 The Starflower Mandala pattern can be found HERE! Ditto on the beautiful! You're a true artist. Hi Lily! 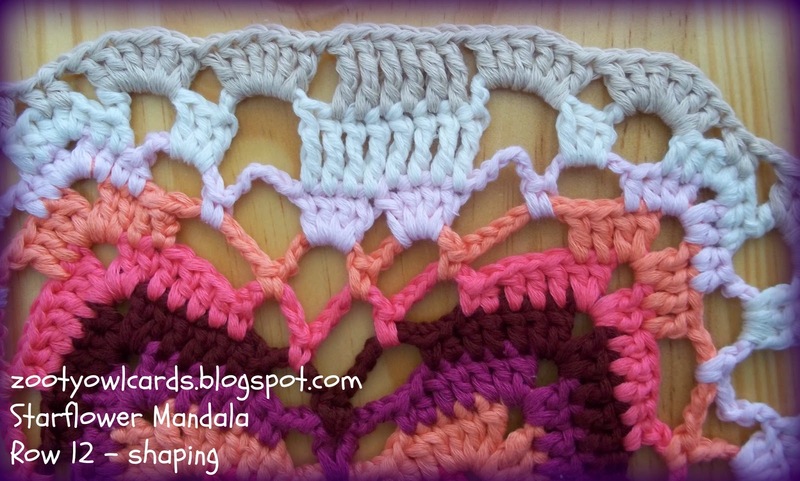 The first few rows are crucial to the pattern - but I think you could probably get away with leaving off the last 6 rows (your mandala will have a "wavy" edge). 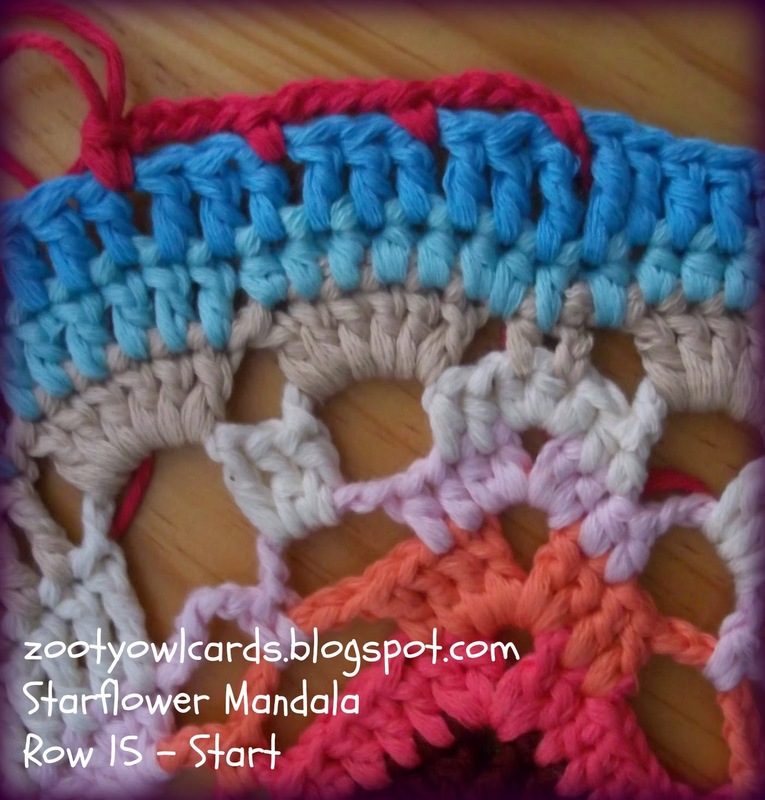 You could maybe add a simple picot edge to the last row which will be row 12 - if you omit the last 6. 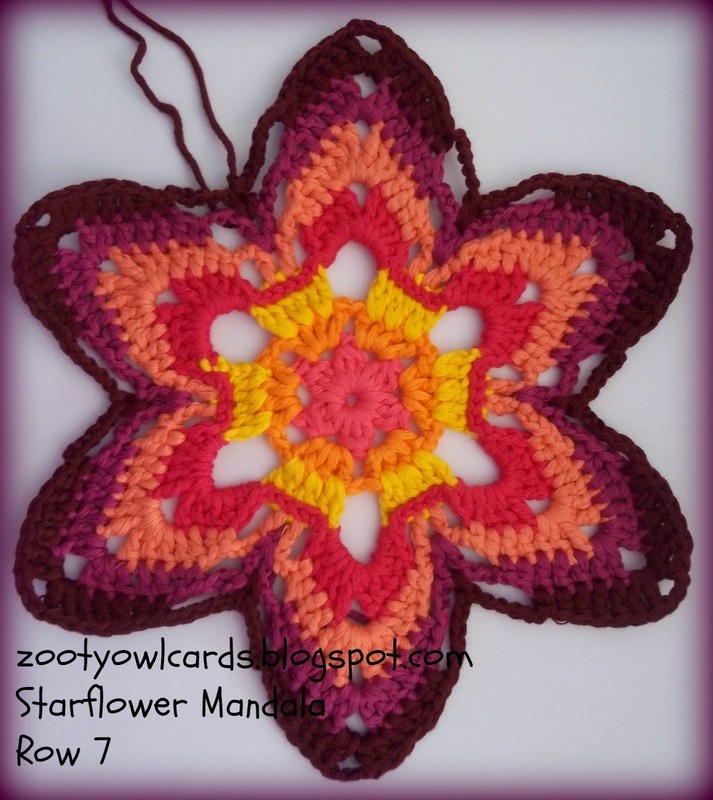 I have seen it made alternating only 3 - 4 colours very nice result - so maybe you could give it a go with the colours you have. Please post a photo on my Zooty Owl Facebook page when you have made it!! Hi Zelna :) thank you for your time. I will find you on fb and post photos as soon as I can :) thank you! These are beautiful. 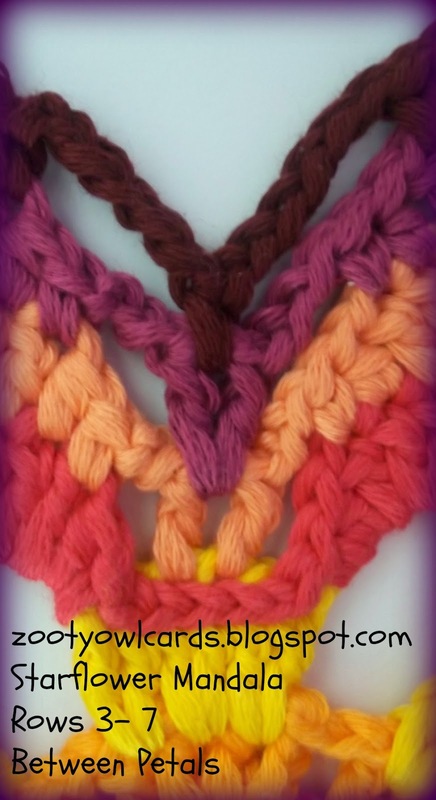 Do you know if these yarns are available in the US, or do you know of comparable yarns that are available in the US? I love the colors! Thank you! Thank you! There are quite a lot of different cotton DK's available online - from what I have heard though Stylecraft Classique Cotton is the best! Deramores in the UK delivers internationally and their service is outstanding! 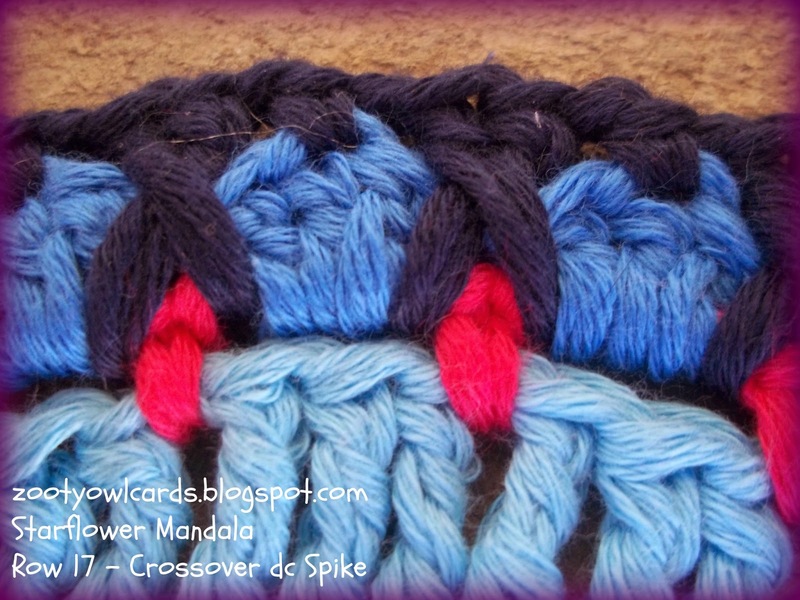 Hello :) I'm currently making a version using textile yarn and it's working up amazing! 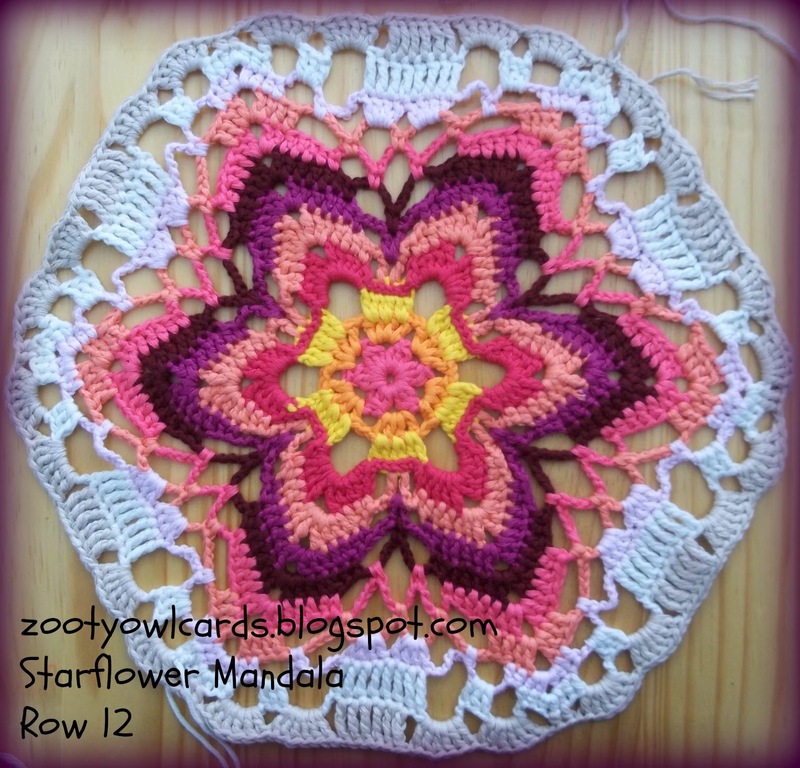 I've already made a cotton one (in DK with a normal sized hook) and am really enjoying making this . 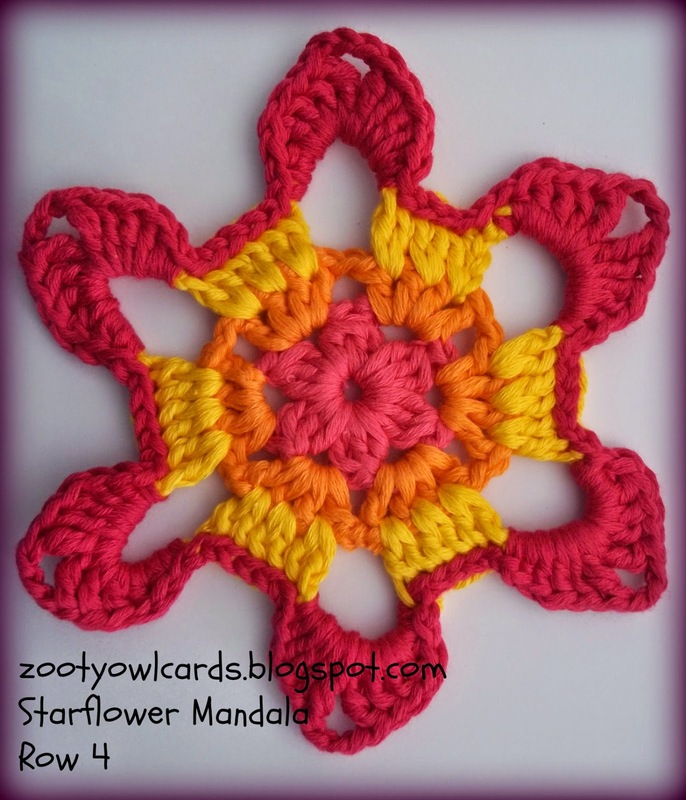 Thanks for the pattern - I've made 4 of your mandalas now and plan on many, many more as I have a few projects for around my house. 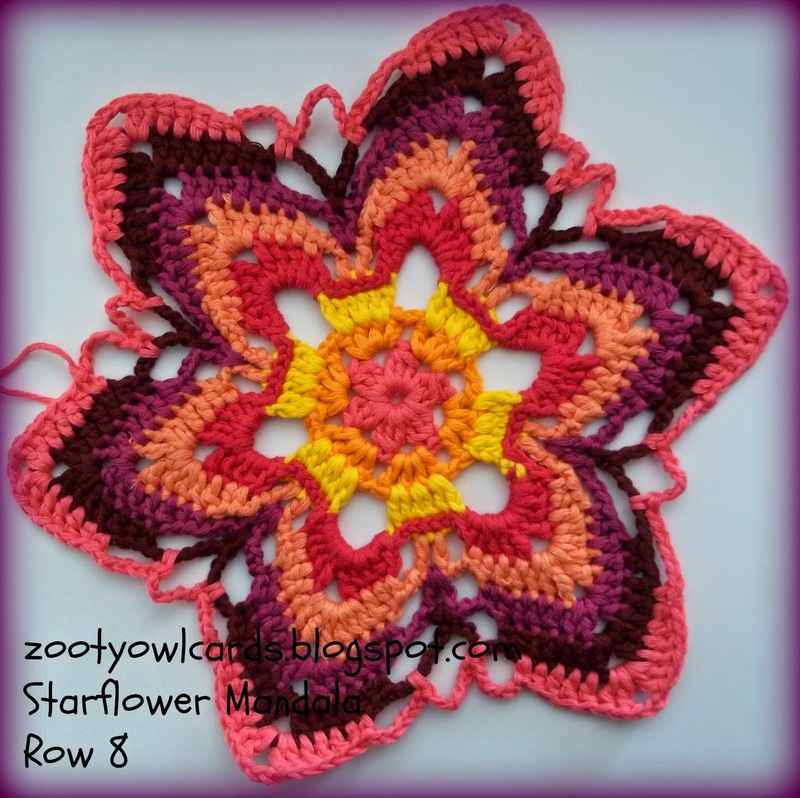 Thanks again for sharing your free pattern. Such clear instructions on photos and written, too . 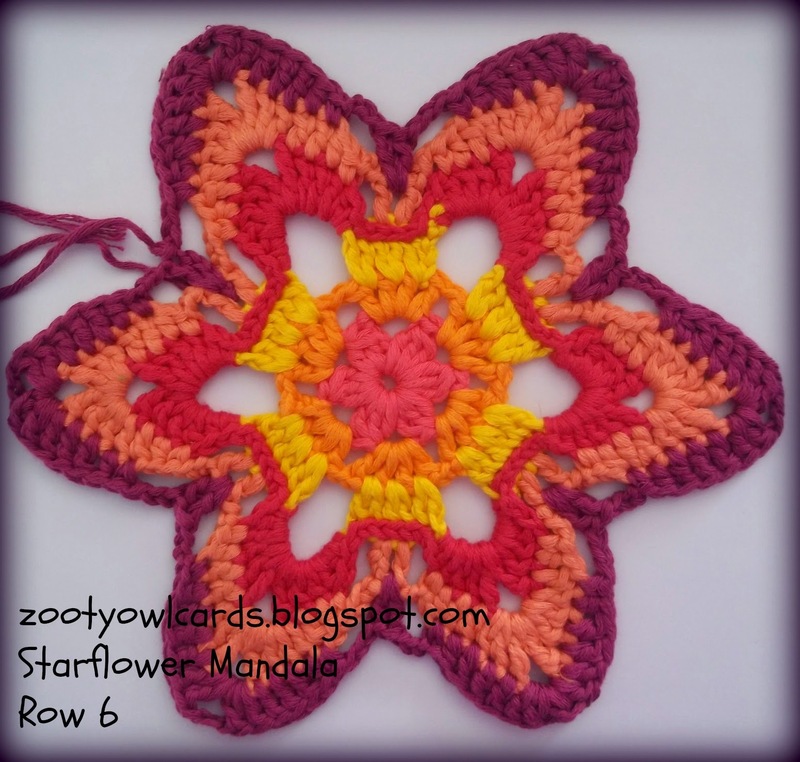 The row by row picture tutorial is a great help. 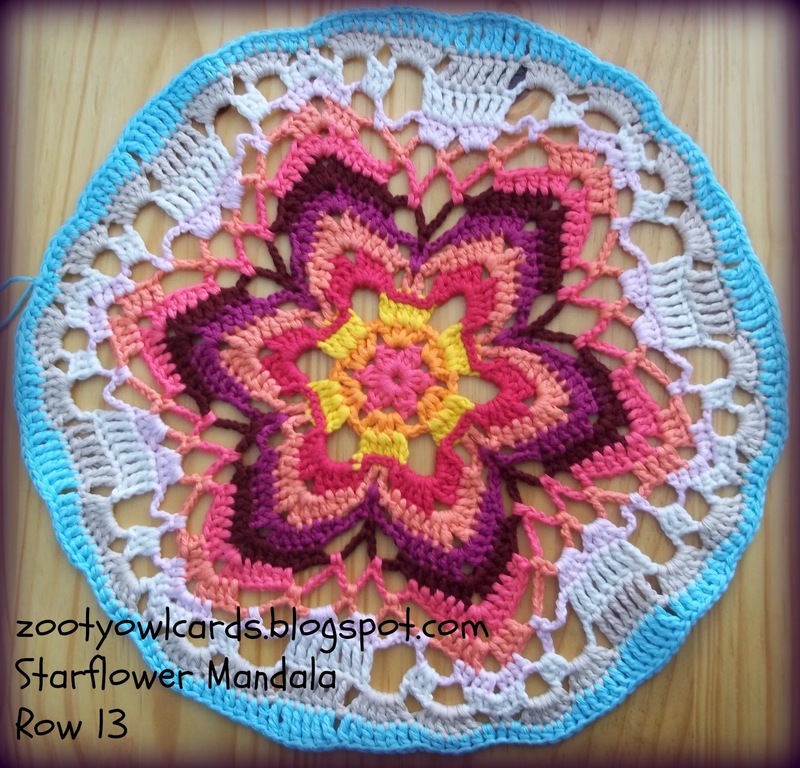 Thank you for sharing the pattern of this stunning mandala and the lovely colours you use! This is just gorgeous! Thank you for the photo tutorial. That really helps. 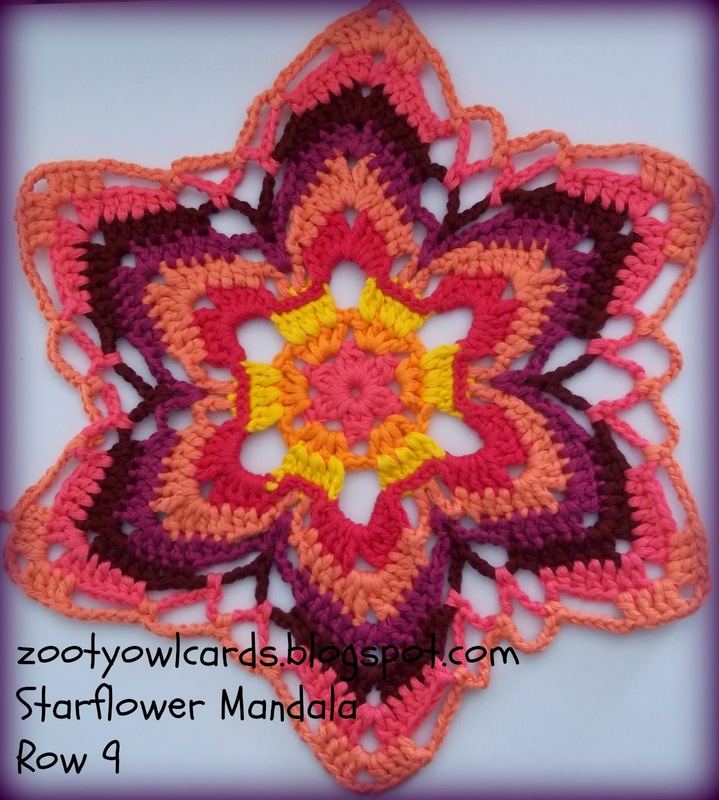 I love this pattern, and the colour choices are wonderful! 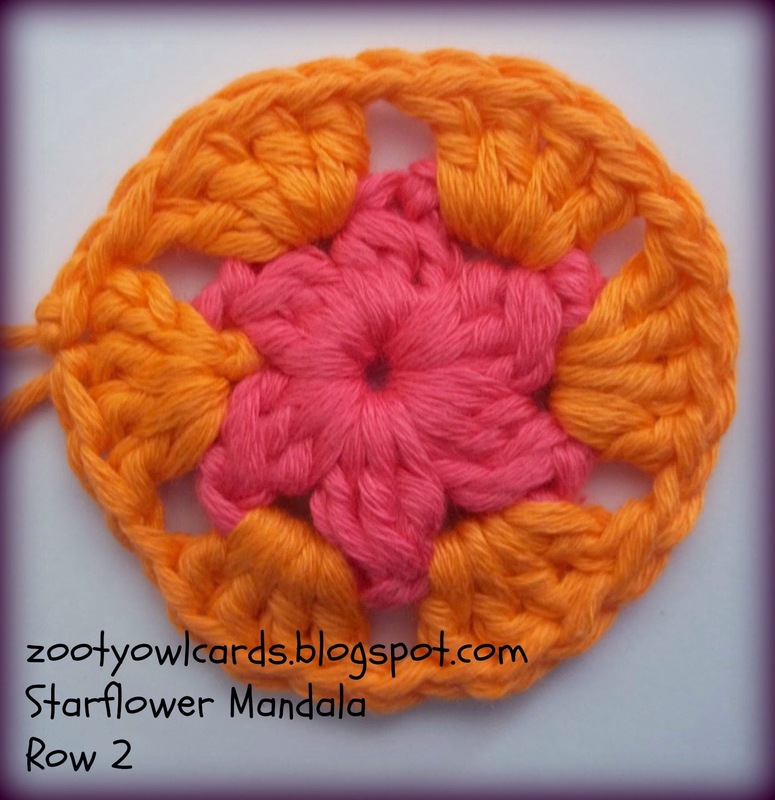 This will be my first mandala! Thank you for all the hard, painstaking photos and instructions! I think I can do it now. Thanks for sharing. 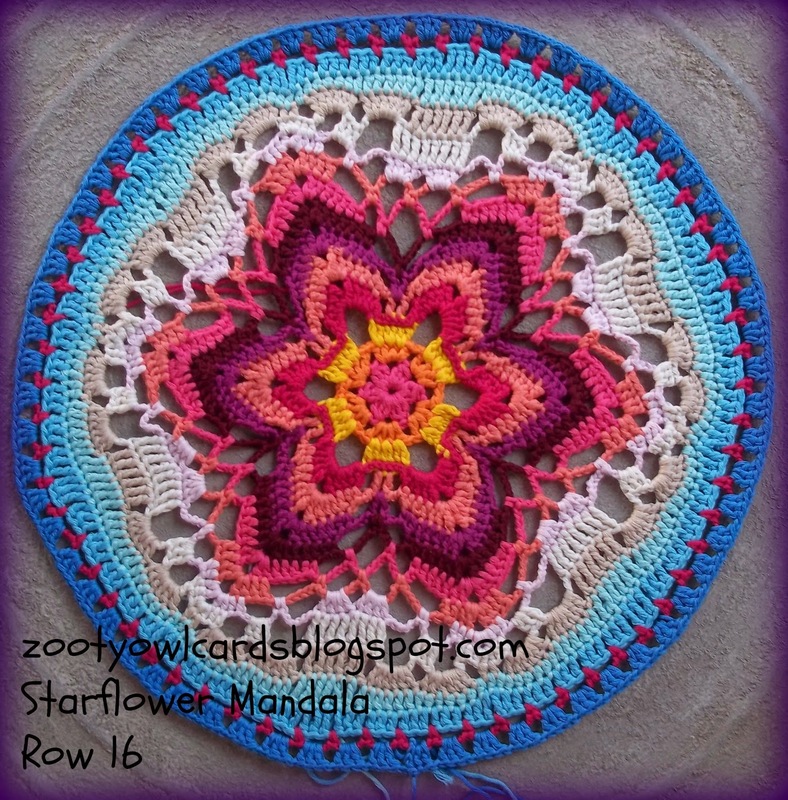 It inspired me to create a snow flake afghan. 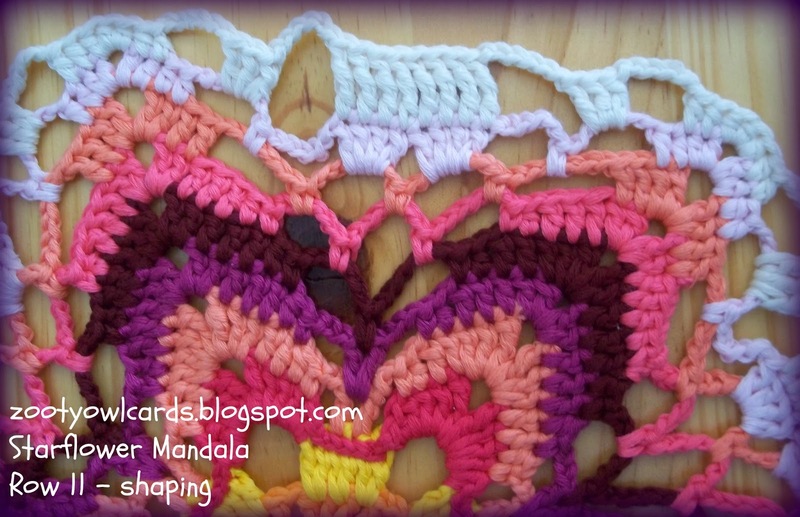 Thank you for sharing this BEAUTIFUL pattern!!! It was pretty easy to follow. 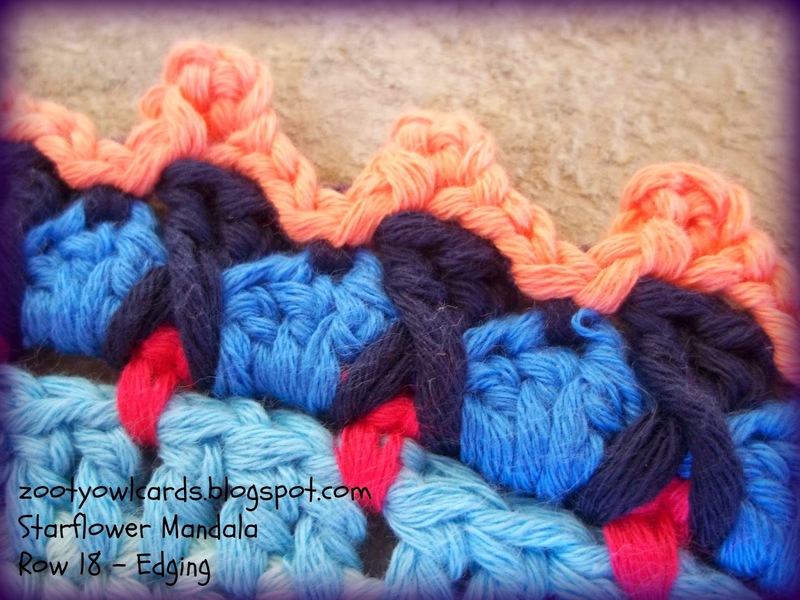 Especially when you can refer the pictures of each stitch!!! WONDERFUL!!!!! Wow! It's rare to come across someone so generous with their talent and work. 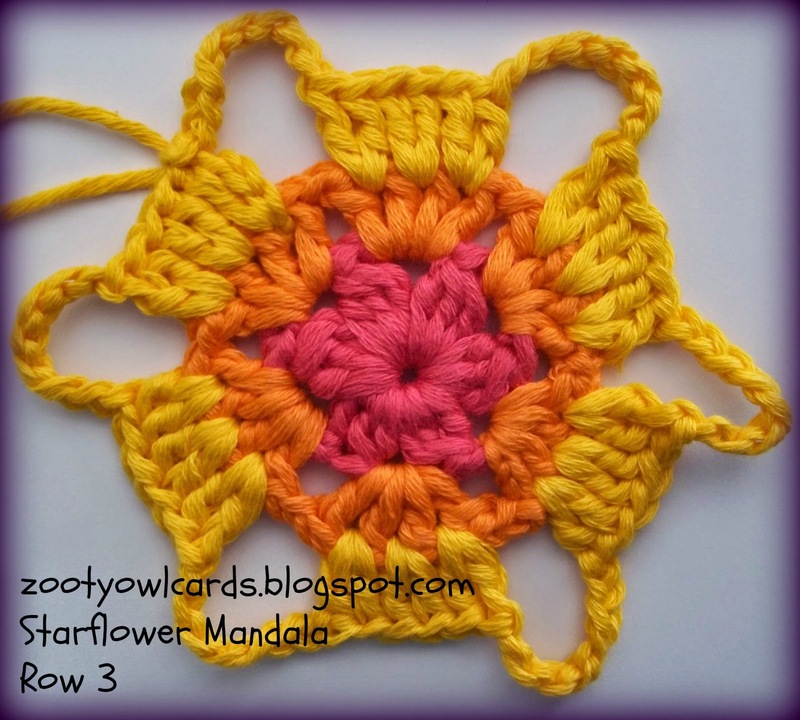 Thank you so much for offering the pattern and step-by-step for this mandala. Truly grateful and awed by your generosity! This is so beautiful! Hope I'm brave enough to try it. Thank you for sharing. I have saved it for later and am so happy. Have a great weekend. 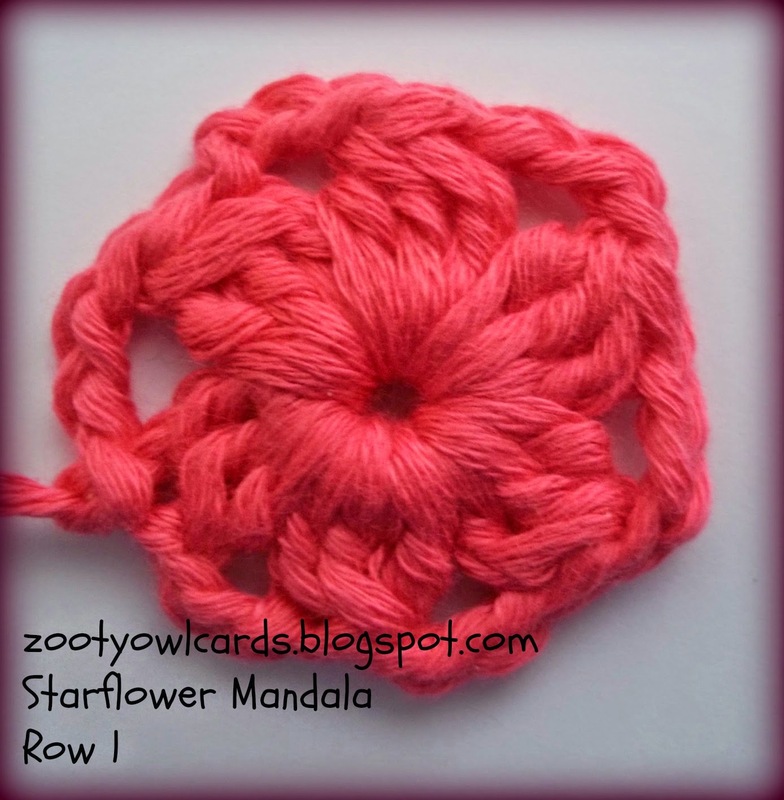 I'm making my first mandala which is your pattern. Thank you so much. I have 3 round wicker baskets that were used as trays and have not known what to do with them. I don't like the ones I've seen that are painted with geometric shapes. I think a mandala will look perfect in them. Thanks again. Hello! very beautiful your work. 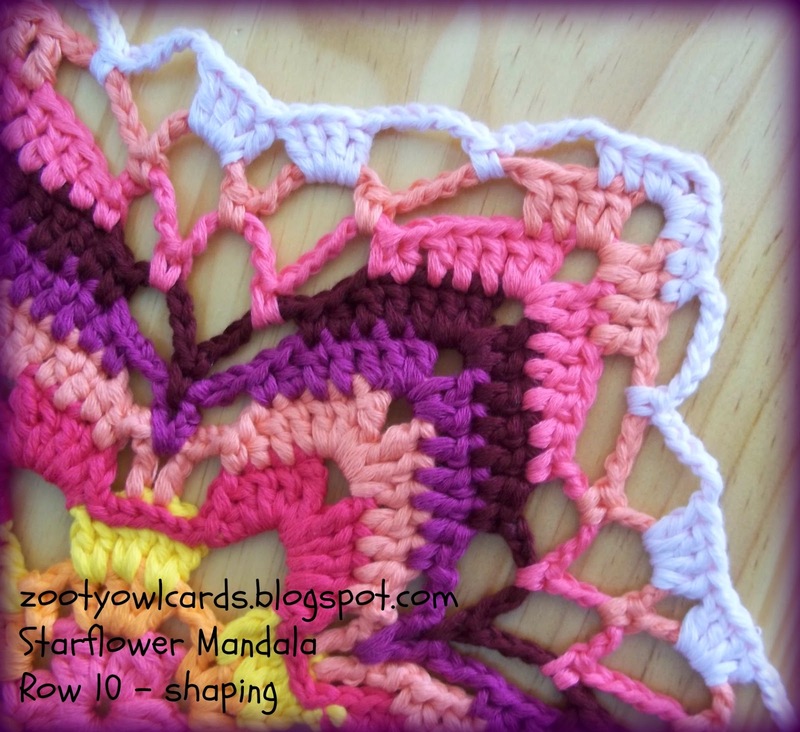 As the pattern could continue to transform it into a square? 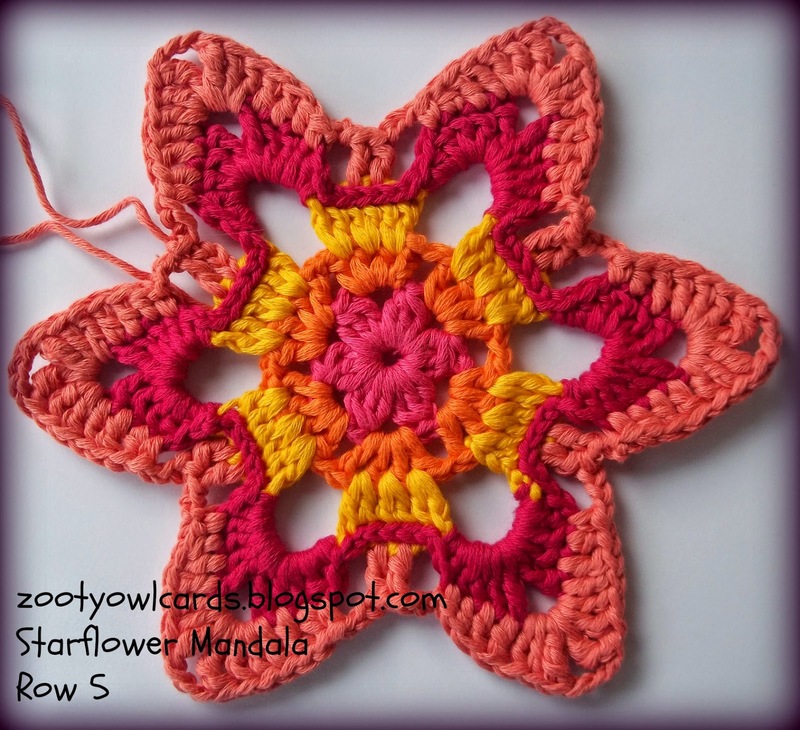 I would like to make a pillowcase of 55 x55 cm. Thank you so much! I just wanted to tell you that you do phenominal work, so beautiful! Thank you so much for sharing with everyone. It is very nice and beautiful . I found this pattern through google. I am making it to put on my table.Thanks for the pattern. 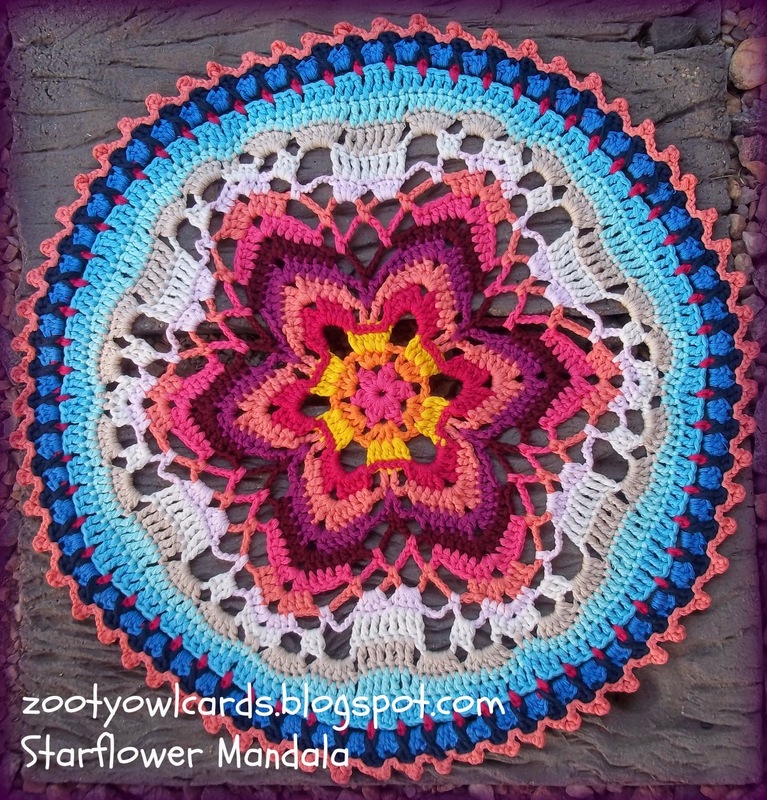 thanks you a lot for this pattern, a so beautiful mandala!